You’ve heard it before, whether you’re an IT professional or a business user. You may have even been handed a new business intelligence solution and were told it would make your life easier and would be better for everyone. However, sometimes things aren’t as you are told and your ideal solution isn’t what it was supposed to be. Don’t fret, there is a solution that can meet your organizations needs. 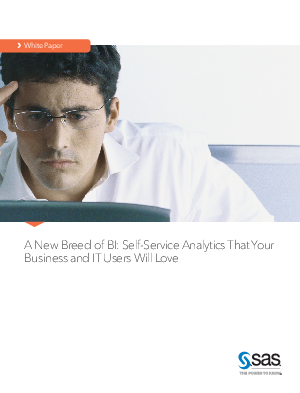 Download this whitepaper to learn how to build a business intelligence product that will provide self-service analytics and will satisfy your business and more importantly those IT users who were previously struggling to run their reports.